The Altona District is made up of a range of unique communities with a mix of residential, rural and industrial properties. Some areas are established suburbs with long historic connections to the RAAF and Melbourne’s industrial base. Others are comprised of relatively new suburbs in what is the most rapidly growing area in the country. Other areas remain rural and semi-rural. Altona District includes extensive recreational and sporting facilities, the Point Cook RAAF Base and Point Cook Coastal Park. Located approximately ten kilometres west of the CBD, the District takes in the suburbs of Altona, Altona Meadows, Laverton, Seabrook, Sanctuary Lakes, Williams Landing and Point Cook, and parts of Altona North. 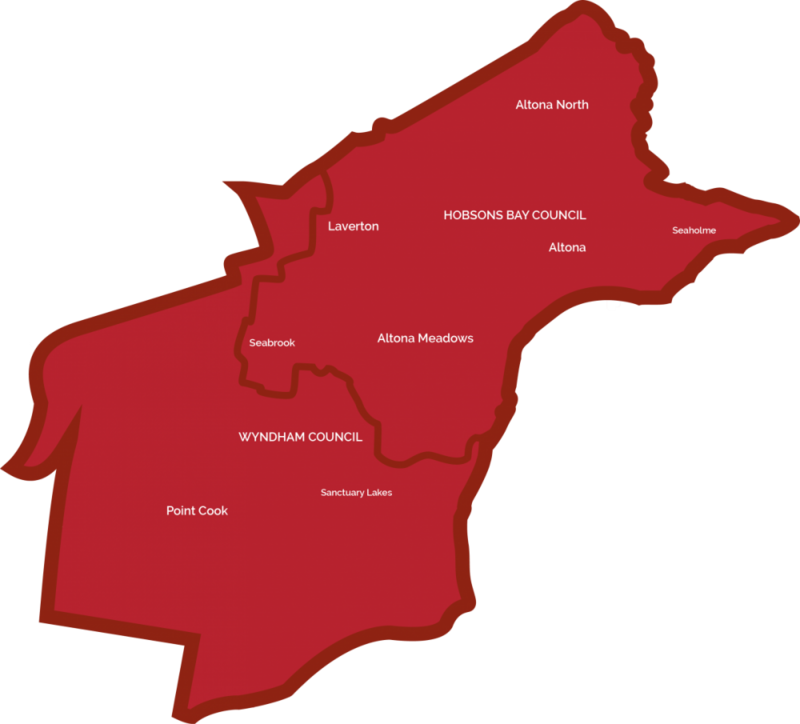 Altona straddles the Wyndham and Hobsons Bay local government areas. It is an electorate of young families, having the state’s second highest proportion of children aged 0-4. Altona also has one of the highest levels of recent arrivals to Australia and the state’s fifth highest proportion of Hindus. Altona is a diverse, dynamic and interesting part of Melbourne’s West. The first member for Altona was elected at the 1992 election and it has been a Labor seat ever since, held by three successive Labor women. Carole Marple was the first member from 1992 – 1996, also serving as Shadow Minister for Natural Resources and then Agriculture and Rural Affairs. Marple was followed by the Hon Lynne Kosky from 1996 – 2010, who held a number of posts including Minister for Education and Training and Minister for Public Transport and the Arts. Jill Hennessy has been Member for Altona District since 2010. The area that now makes up Altona District is the traditional land of the Yalukit willam clan of the Boonwurrung language group, part of the Kulin nation. The Kulin nation is an alliance of five Indigenous Australian nations. Prior to European settlement the Kulin nation’s collective territory took up most of Central Victoria, including what is now Melbourne and its suburbs. The area was one of the early sites of European settlement in Victoria. In Altona itself the first European settler was a man named Alfred Langhorne, who built the Altona Homestead, which still stands in Queen St Altona, in 1842. In 1853 Point Cook (originally Point Cooke) became part of the farmlands of Thomas Chirnside, who built Point Cook Homestead, and later Werribee Park Mansion, with his brother Andrew. Coal mining formed the basis of the local economy around Altona and Laverton from 1908 to 1919. The area’s population grew slowly until it experienced an influx of migration following the Second World War. Point Cook on the other hand remained largely unpopulated. In 1912 the Federal Government purchased a large section of Point Cook in order to establish what would become the Royal Australian Air Force. Point Cook was the first military aviation base and was the RAAF’s only base until 1925, when a base was also built in Laverton. RAAF Point Cook It is the home of Australia’s first military flying school and the birthplace of the Royal Australian Air Force, and is considered the RAAF’s spiritual home. It is now one of the biggest growth areas in Melbourne, going from a population of 580 in 1996 to over 30,000 people today.